Your team gets powerful shared inboxes to message from award winning mobile apps and their computer. Customers, contractors, and partners never have to install an app and get text and Facebook messages. Your team will stay productive while your company maintains full control. Increase customer satisfaction, close more deals, and better engage customers with Heymarket. 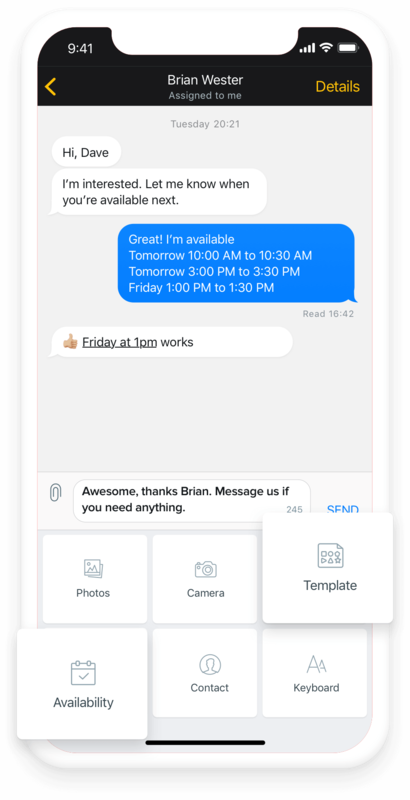 Heymarket allows customers to communicate with your business from the channel they most frequently use—messaging. They never have to install an app and get normal text and Facebook messages. 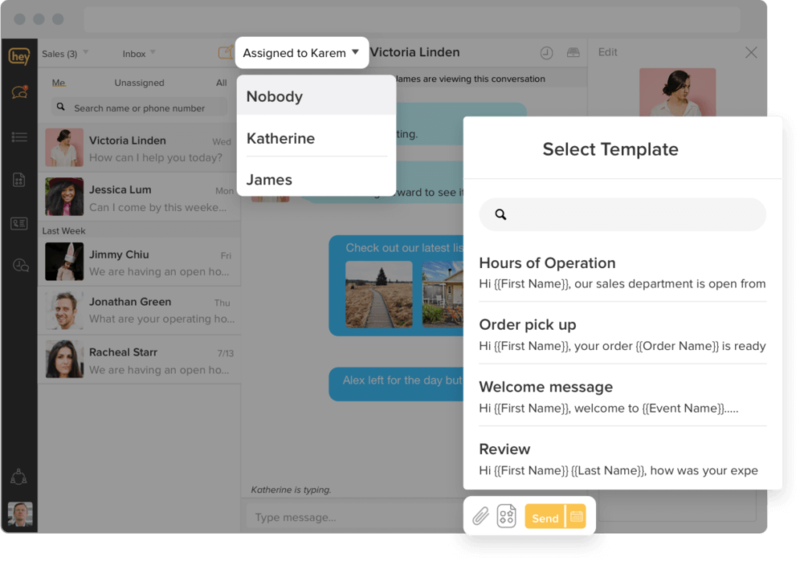 With enterprise grade productivity and administrative features, Heymarket keeps your team productive and business messaging secure. 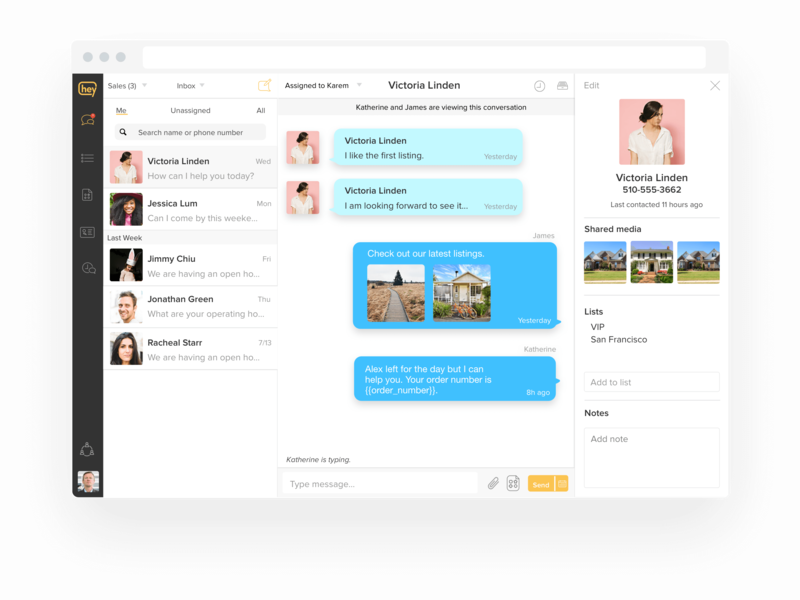 Share messages across a team and reply with a shared inbox. Administrators have full control over permissions. 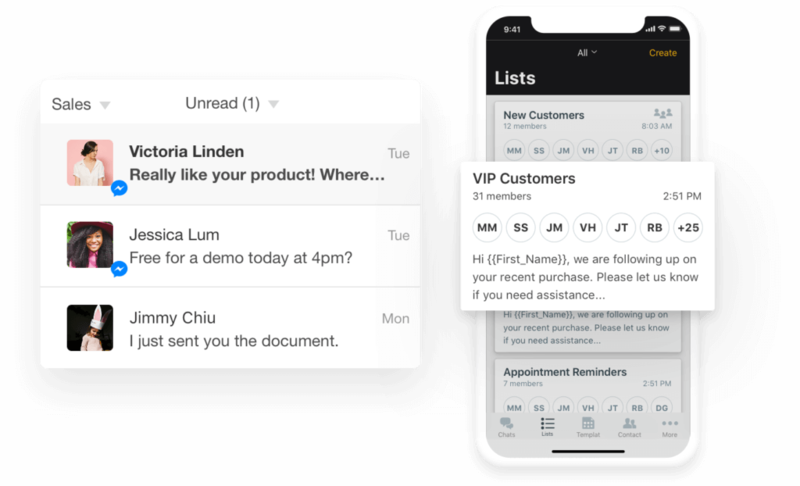 Make decisions faster with in-line discussions in context of customer messages. Read and manage messages from various channels in one place. Powerful reports to track usage, gain insights, and manage team productivity. Integrate with over 1,000 other business apps to leverage existing contacts and custom fields. Provide extraordinary customer support by shortening response times and making it simple for customers to get answers to their questions. Text messaging has a 98% open rate and over a 50% reply rate. Heymarket allows you to engage with leads more efficiently and reduce the time it takes to qualify them. Increase sales by messaging leads at the right time and turn them into customers. 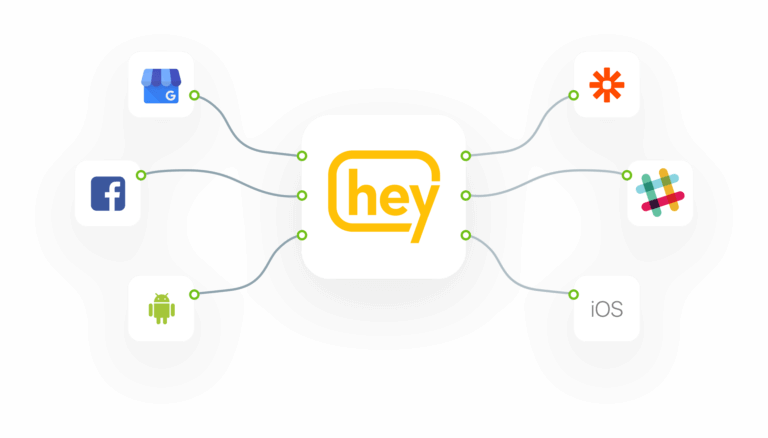 Heymarket leverages your exisitng contacts, custom fields, and workflows. Enterprise grade administration and reporting keeps your text messages secure and compliant. Multi level administration, contact management, text message handling, and exports. Built in reports with KPIs and usage. 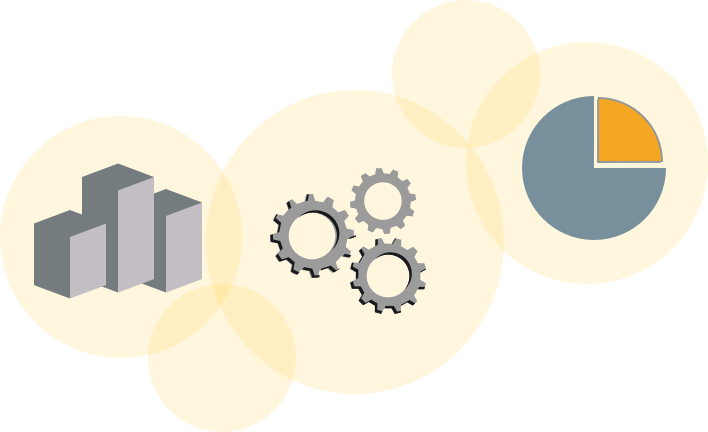 Powerful integrations and APIs. 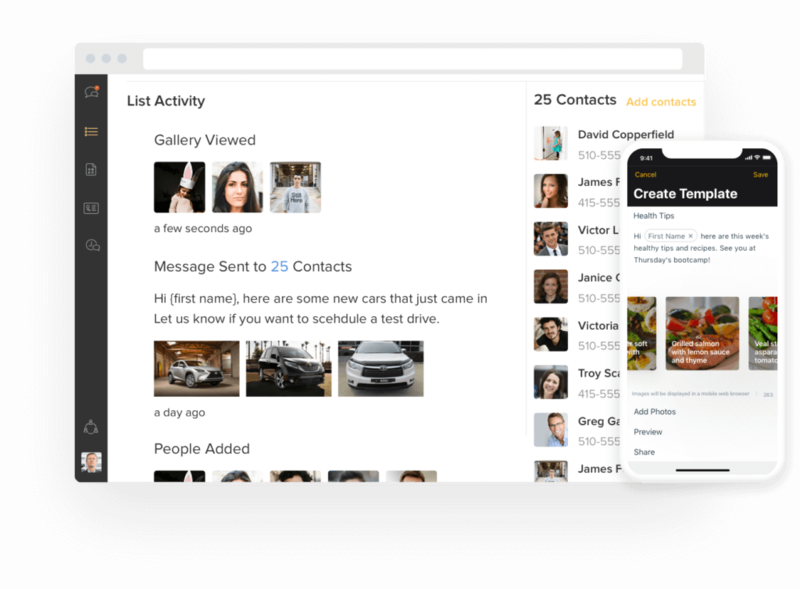 Contacts from existing business apps can automatically be created or updated in Heymarket. Initiate text messages from other apps as well. It’s perfect for welcome messages or follow up surveys.